In 1796, Beethoven embarked on a tour of central European cultural centers that was an echo of a similar tour by Mozart in 1789. Accompanied by Prince Lichnowsky (who also accompanied Mozart on his tour), Beethoven visited Prague, Dresden, Leipzig, and Berlin, composing and performing to acclaim. He spent the most time in Prague, where his reputation had already preceded him through Lichnowsky's family connections, and Berlin, where he composed two cello sonatas (Op. 5) dedicated to King Friedrich Wilhelm II, a lover of music who played that instrument. These works are notable for successfully combining virtuoso cello and piano parts, a difficult task considering the differing natures of the two instruments. The king presented Beethoven with a snuffbox full of gold coins; Beethoven observed that the trip earned him "a good deal of money". 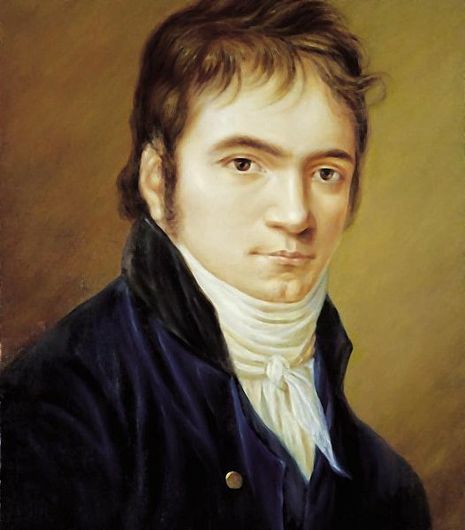 Beethoven returned to Vienna in July 1796, and embarked on another tour in November, heading east instead of north, to the cities of Pressburg (present-day Bratislava) and Pest. At Pressburg he performed on a piano sent from Vienna by his friend Andreas Streicher, a piano he joked was "far too good for me..because it robs me of the freedom to produce my own tone".